Here are some snazzy birthday facts about 28th of August 2008 that no one tells you about. Don’t wait a minute longer and jump in using the content links below. Average read time of 10 minutes. Enjoy! What day was my birthday Aug 28, 2008? August 28, 2008 was a Thursday and it was the 241st day of the year 2008. It was the 35th Thursday of that year. The next time you can reuse your old 2008 calendar will be in 2036. Both calendars will be exactly the same! This is assuming you are not interested in the dates for Easter and other irregular holidays that are based on a lunisolar calendar. What day is August 28 this year? There are 132 days left before your next birthday. You will be 11 years old when that day comes. There have been 3,885 days from the day you were born up to today. If you’ve been sleeping 8 hours daily since birth, then you have slept a total of 1,295 days or 3.55 years. You spent 33% of your life sleeping. Since night and day always follow each other, there were precisely 131 full moons after you were born up to this day. How many of them did you see? The next full moon that you can see will be on April 19 at 11:14:00 GMT – Friday. Fun stat: Your first one billion seconds (1,000,000,000) will happen sometime on May 6, 2040. If a dog named Tarj - a Norwegian Lundehund breed, was born on the same date as you then it will be 65 dog years old today. A dog’s first human year is equal to 15 dog years. Dogs age differently depending on breed and size. When you reach the age of 6 Tarj will be 42 dog years old. From that point forward a medium-sized dog like Tarj will age 4.5 dog years for every human year. View the complete list of August 28 celebrity birthdays. Who are the famous August 28 birthdays? Here’s a short list of famous people in history who were born on Aug 28. View the complete list of August 28 famous birthdays. 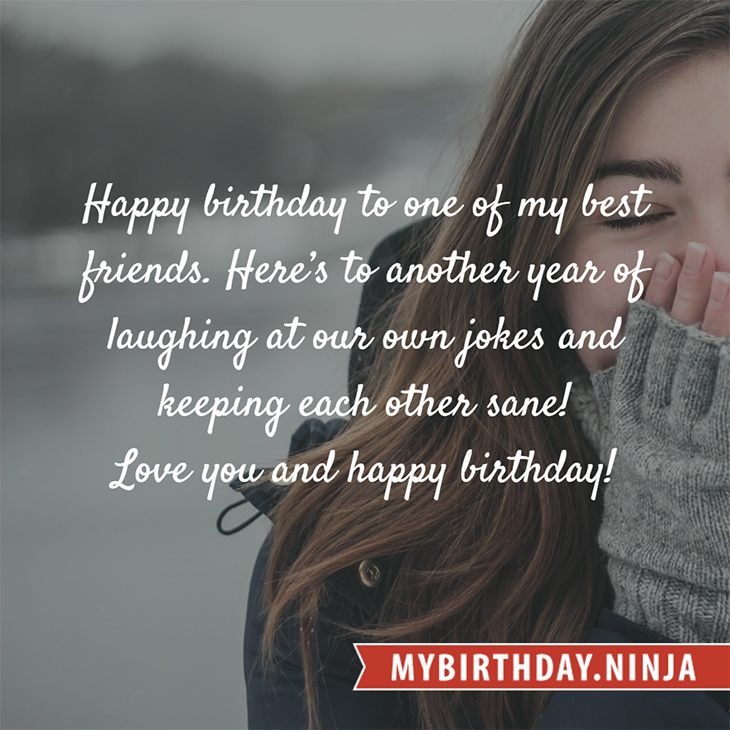 What happened on my birthday – Aug 28th? Henry Hudson discovers Delaware Bay. The Baltimore and Ohio Railroad’s new Tom Thumb steam locomotive races a horse-drawn car, presaging steam’s role in US railroads. American Civil War: Union forces attack Cape Hatteras, North Carolina in the Battle of Hatteras Inlet Batteries which lasts for two days. Cetshwayo, last king of the Zulus, is captured by the British. Caleb Bradham invents the carbonated soft drink that will later be called “Pepsi-Cola”. A group of mid-level Greek Army officers launches the Goudi coup, seeking wide-ranging reforms. World War I: Italy declares war on Germany. The Georgian opposition stages the August Uprising against the Soviet Union. An IRA bomb explodes at the Grote Markt in Brussels. An electricity blackout cuts off power to around 500,000 people living in south east England and brings 60% of London’s underground rail network to a halt. View the complete list of August 28 historical events. Curious about this Blue Raspberry? This is a party item you can activate and send to your friends when you play the free game Jump Birthday Party. It’s a fun and easy-to-play mobile game for all ages. Get free 1,000 gold coins when you download today! What does my birthday August 28, 2008 mean? Your birthday numbers 8, 28, and 2008 reveal that your Life Path number is 1. It represents initiative, potential and singularity. You are a born leader. You insist on your right to make up your own mind; you demand freedom of thought and action. The following celebrities also have the same life path number: Nanao, Grace Kennedy, Fernando Guillén, Anne Kirkbride, Marc Platt, Henry Travers, Nicole da Silva, Joe Pantoliano, John Stamos, Jim Morrison. 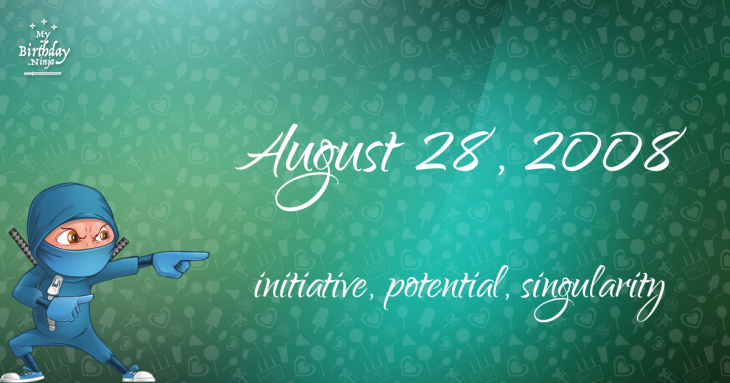 What is the birthday horoscope for Aug 28, 2008? The Western zodiac or sun sign of a person born on August 28 is Virgo ♍ (The Maiden) – a mutable sign with Earth as Western element. The ruling planet is Mercury – the planet of communication. According to the ancient art of Chinese astrology (or Eastern zodiac), Rat is the mythical animal and Earth is the Eastern element of a person born on August 28, 2008. What is the birthstone for August 28? Peridot is the modern birthstone for the month of August while Diamond is the mystical birth stone (based on Tibetan origin). The zodiac gemstone for Virgo is carnelian. Lastly, the birthday stone for the day of the week ‘Thursday’ is sapphire. Fun fact: The birth flower for 28th August 2008 is Poppy for preparedness. What is a good birthday trivia for August 28? The number-one hit song in the U.S. at the day of your birth was Disturbia by Rihanna as compiled by Billboard Hot 100 (August 30, 2008). Ask your parents if they know this popular song. I do not know how you feel about this, but you were a male ♂ in your last earthly incarnation. You were born somewhere around the territory of Southern New Zealand approximately on 1100. Your profession was builder of houses, temples, cathedrals. How many babies were born on August 28, 2008? Base on the data published by the United Nations Population Division, an estimated 137,464,471 babies were born throughout the world in the year 2008. The estimated number of babies born on 28th August 2008 is 375,586. That’s equivalent to 261 babies every minute. Try to imagine if all of them are crying at the same time. What is the popular baby name on 28 Aug 2008? What’s your bizarre Florida Man story? The #FloridaManChallenge is breaking the Internet and social media. Some crazy men, women, or creatures from the Sunshine State are making headlines every day of the year including your birthday. Try this fun exercise. Pick your search engine of choice and type in “florida man August 28” and see what kind of wild news headline you will get. This viral craze started in 2013 and gets resurrected now and then. The latest was from Tumblr and found its way to Twitter. As they say, the rest is history. Here’s a quick list of all the fun birthday facts about August 28, 2008. Celebrities, famous birthdays, historical events, and past life were excluded. Try another birth date of someone you know or try the birthday of these celebrities: February 1, 1937 – Don Everly, American singer-songwriter and guitarist (The Everly Brothers); April 23, 1949 – Joyce DeWitt, American actress; March 4, 1972 – Brittney Powell, German-American actress.